This place is a must-visit if you want to get to know more about Cameron Highlands. It is recognized as one of the main attractions in Brinchang. So thankful that our tour guide, who actually is the owner of the tour agency, gave us a free tour at Time Tunnel Museum. We just paid for our own entrance fees. The visit to this museum would definitely lack the depth and understanding if we were there on our own. We were about to enter the time tunnel back to the 50’s and 60’s. 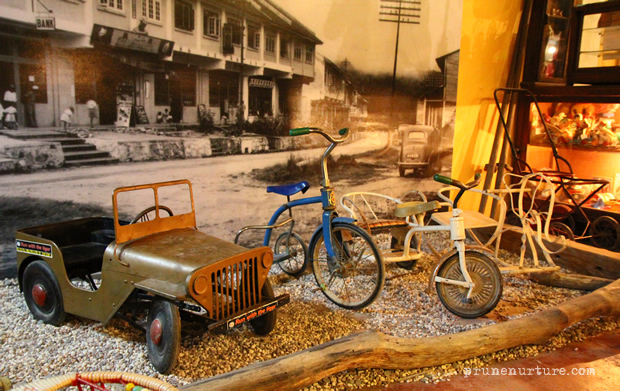 It is filled with artifacts and photographs that serve as a reminder of what life was like in Malaysia during those years. 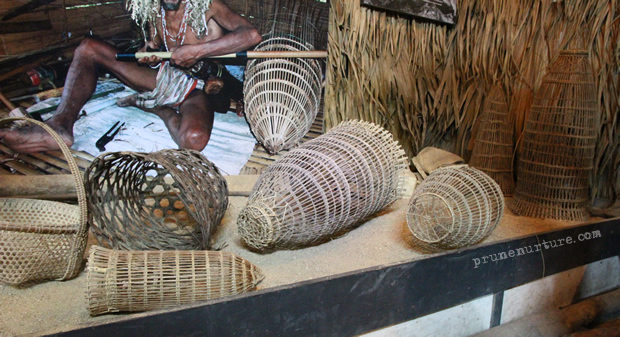 These were the animal and fishing traps made by the natives. 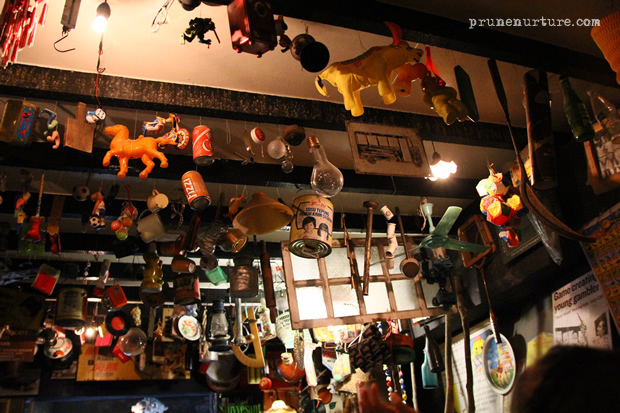 There were also other tools and handicrafts displayed on the wall. As we entered the galleria, these displays were found hanging from the ceiling. Did you spot someone familiar here? 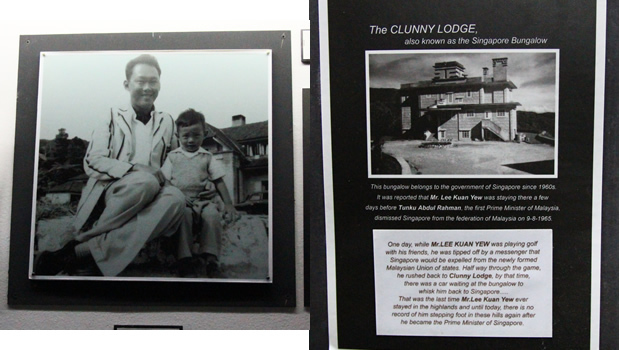 This is a photo of MM Lee Kuan Yew and PM Lee Hsien Loong when they visited the Cameron Highlands in 1954. 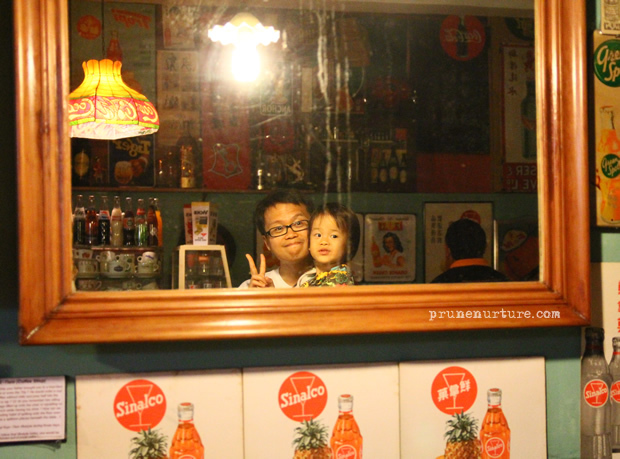 When we passed the photography gallery, we entered the coffee shop. Jay took a video of the coffee shop, the barber shop, children’s corner and the kitchen. 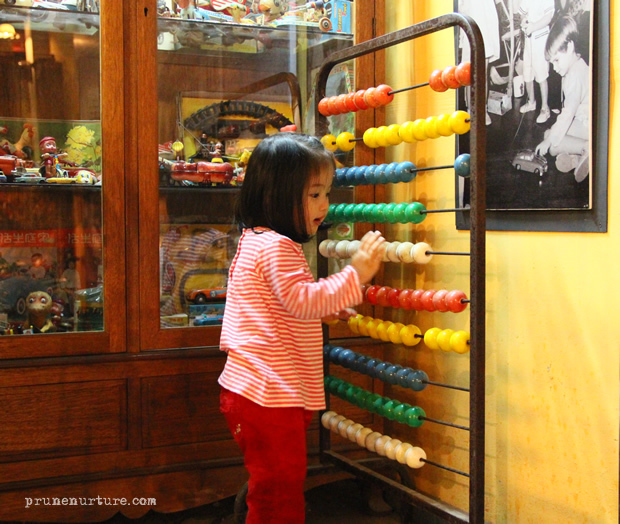 Such a big abacus at the children’s corner! I used to play with abacus when I was younger but I’ve already forgotten how to use it now. 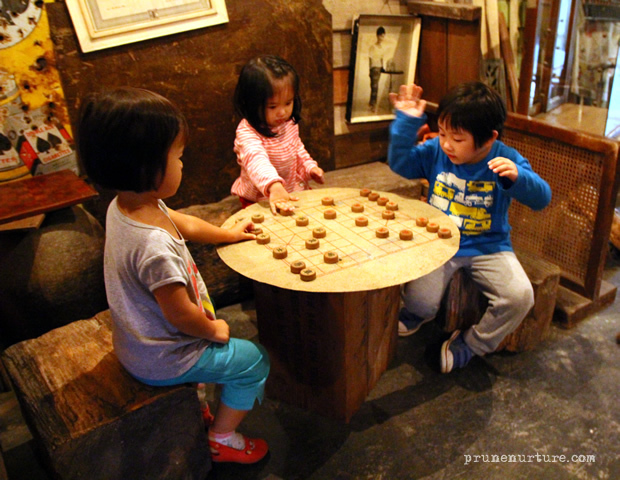 The children played their first chinese chess together. 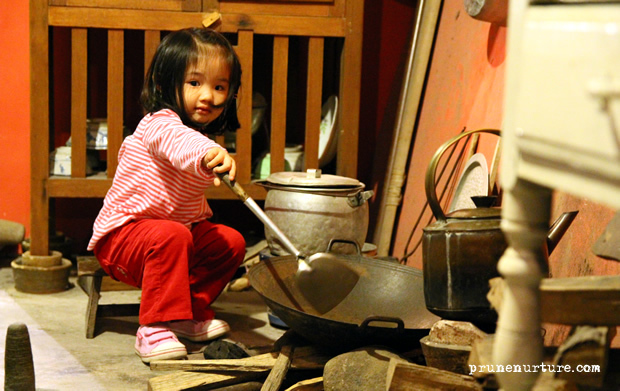 The wok, the charcoal stove, firewood and all in the kitchen brought back those memories when I was a little girl living in the kampong. 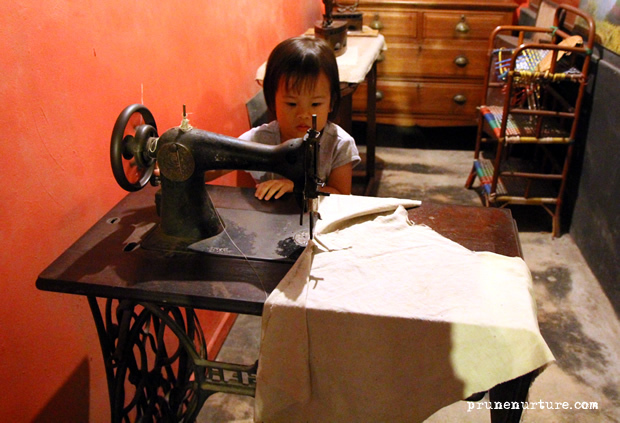 This sewing machine was such an old one. Dot must be wondering what was this black machine and how to use it. 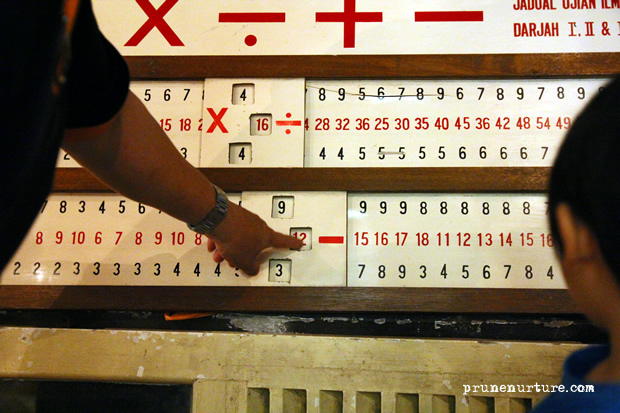 Who needs a calculator when you can use this table to divide, multiply, add and subtract. Amazing, isn’t it? This video shows the coffee shop, barber shop, children’s corner, kitchen and other artifacts along the way. Time Tunnel Museum opens daily from 9am to 6pm. The entrance fee are priced at MYR5 per adult and MYR3 per child. Wow! we missed something very good!!! 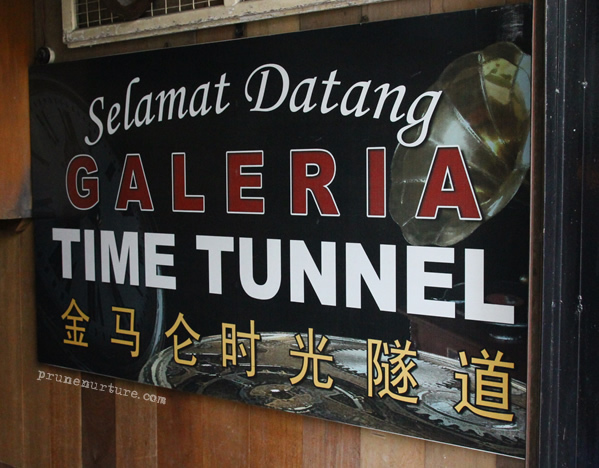 We passed by the signboard of “Time Tunnel” when we drove by one of the main road of Cameron Highland. It was very peculiar so I remember. It didnt mention the location or what is it about. It didnt have the word Gallery, if I recalled correctly. Now you tell me!